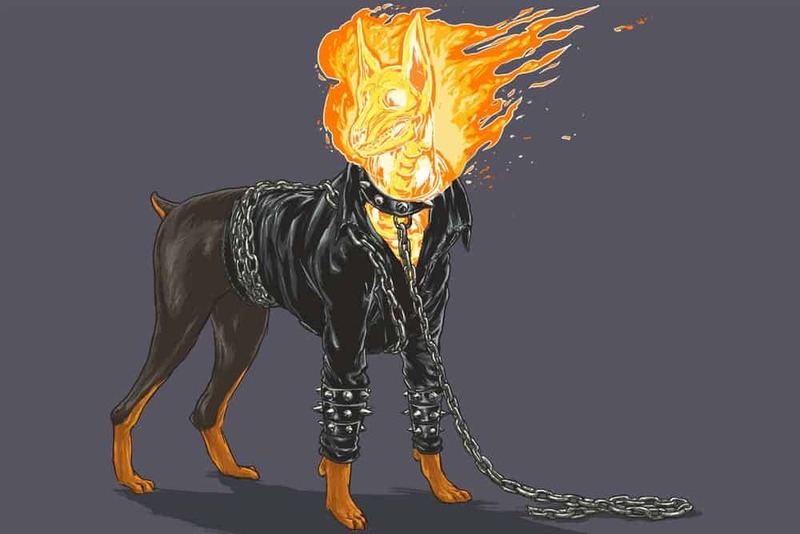 Dogs are cuddly, sweet, and adorable – an altogether fun and funny animal that has earned the moniker “man’s best friend.” The superheroes of comic books and the villains they fight are modern mythology – tales that rally people together and get them to believe in ideals greater than themselves. 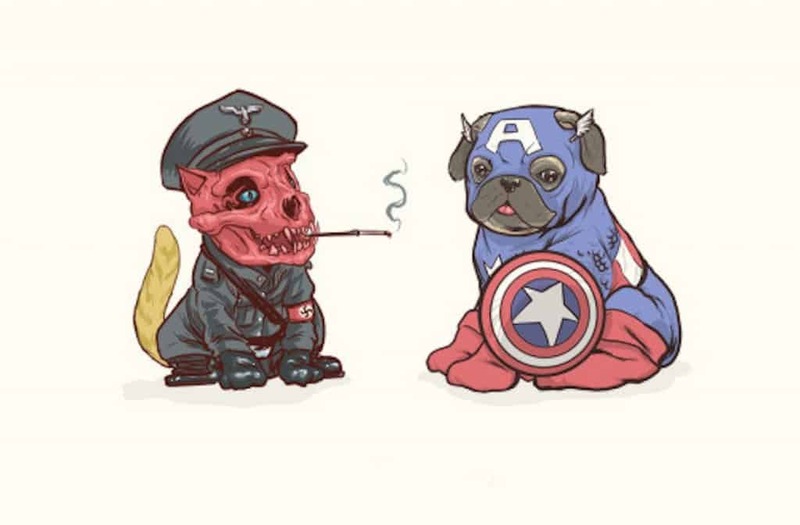 So what happens when you combine these two great things into one? 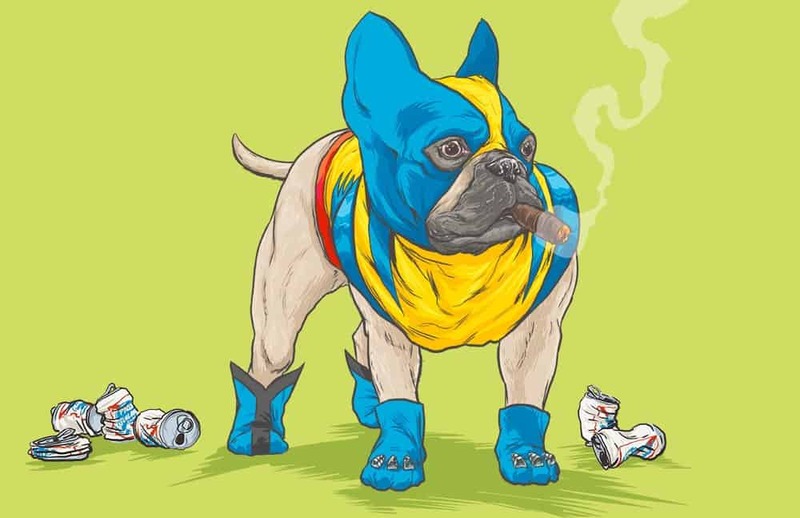 You get costumed canines that look as awesome as they do hilarious and painfully precious. 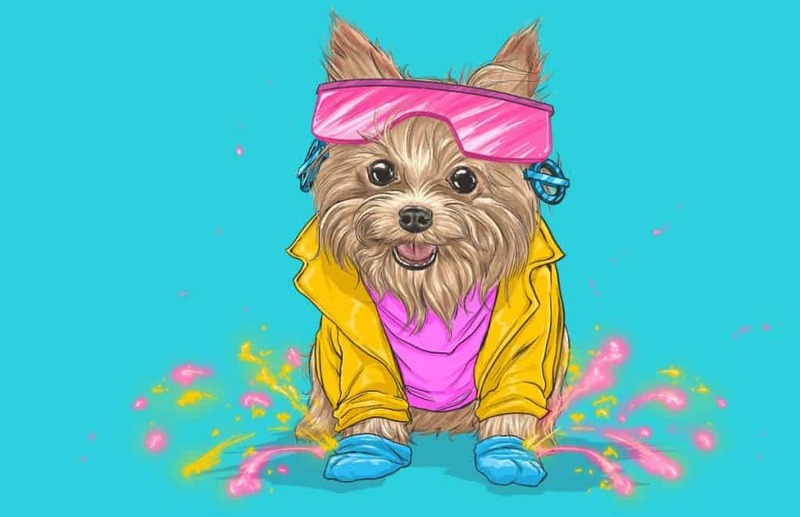 For a better tomorrow, it is love and affection and big, wet doggy kisses that makes the humans smile. I am the scruffiest and most lovable at what I do – and what I do is shower you with big slobbery dog kisses. 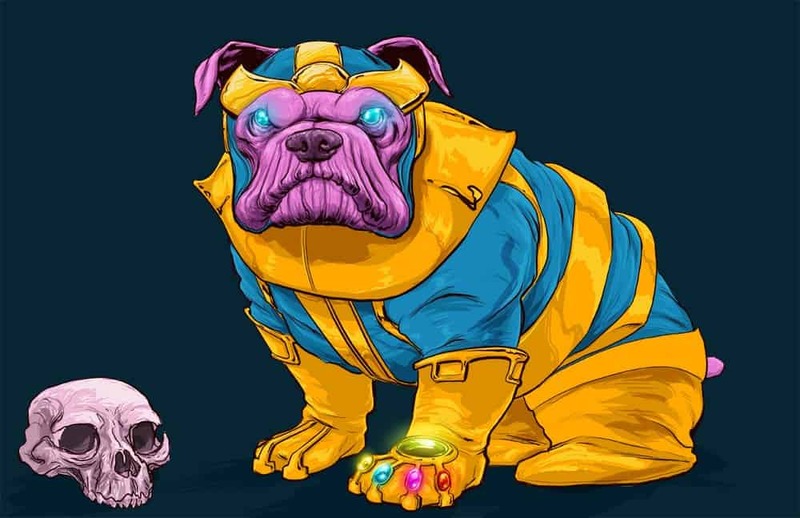 Let the heavens be full of bouncing red balls to chase, but in the end as always Thanos will catch them all and stand triumphant. 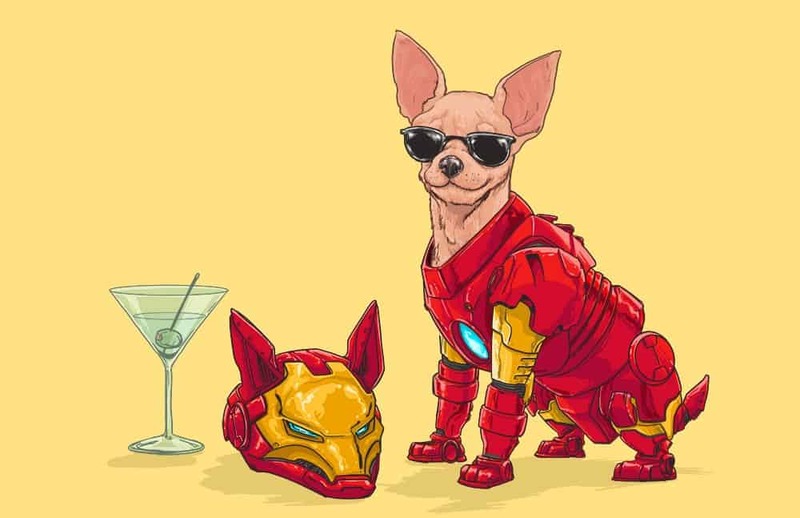 It isn’t the armor that makes a dog adorable – it’s the cool little Chihuahua inside. By the Hoary hosts of Hoggoth! 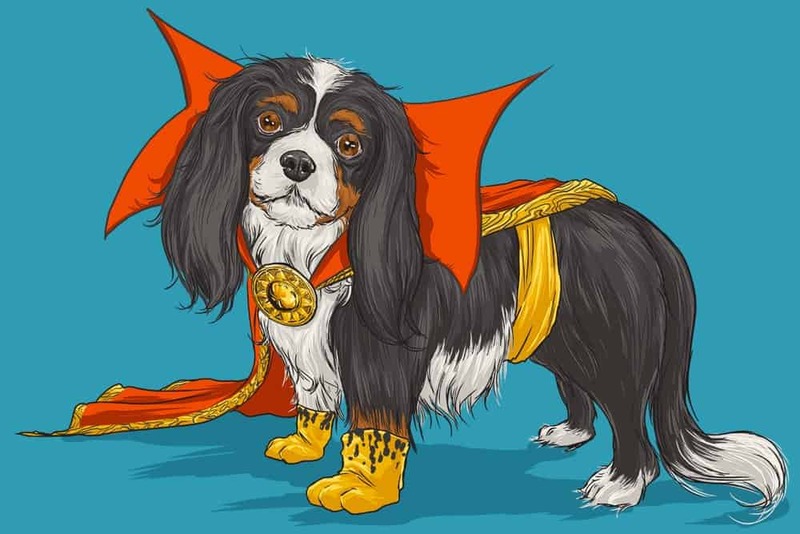 What’s more lovable than a Cavalier King Charles Spaniel? What makes you so special? 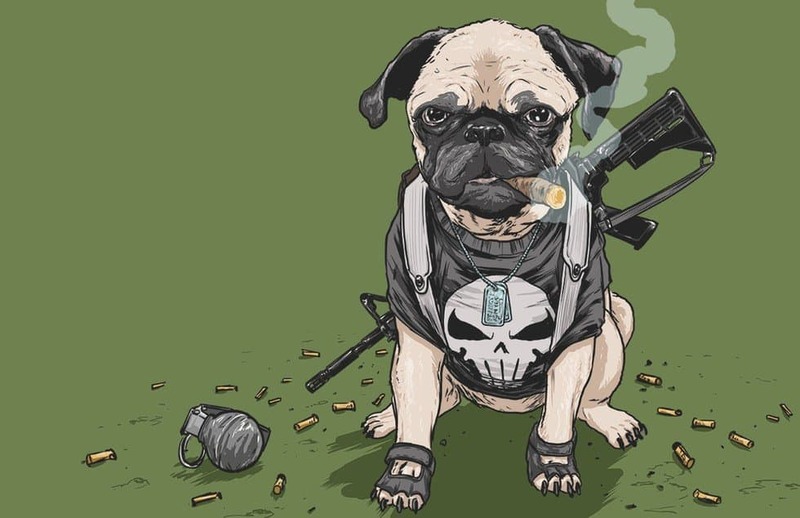 Nothing, I’m just a pug from Brooklyn. 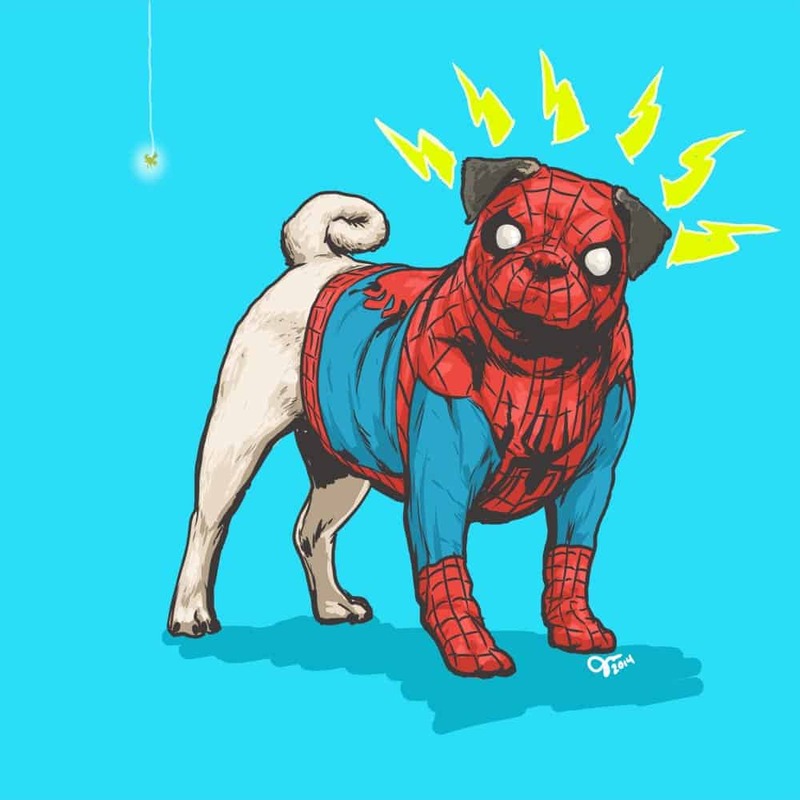 My Pug senses are tingling! You have bacon in your pocket – I can feel it! I must away to dig holes in your yard and chase the neighbor’s cat! 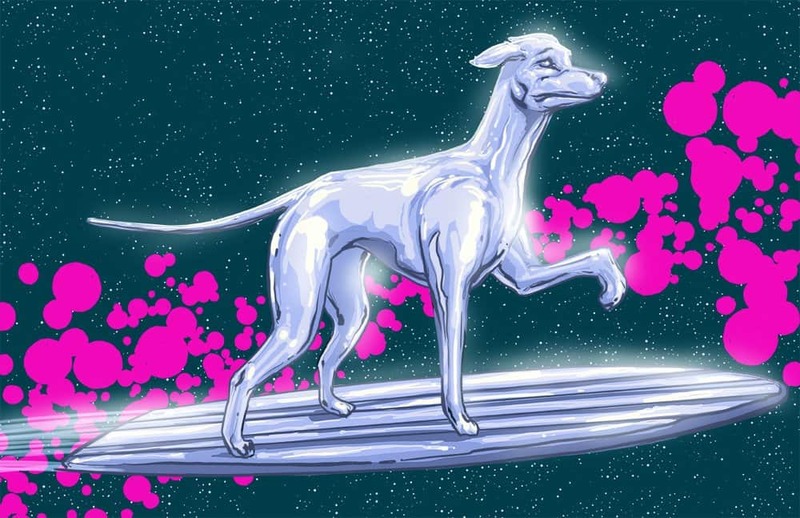 To me, my board! My daddy always said, “If you don’t make a choice, a choice makes you” – I choose to be scratched behind the ears. 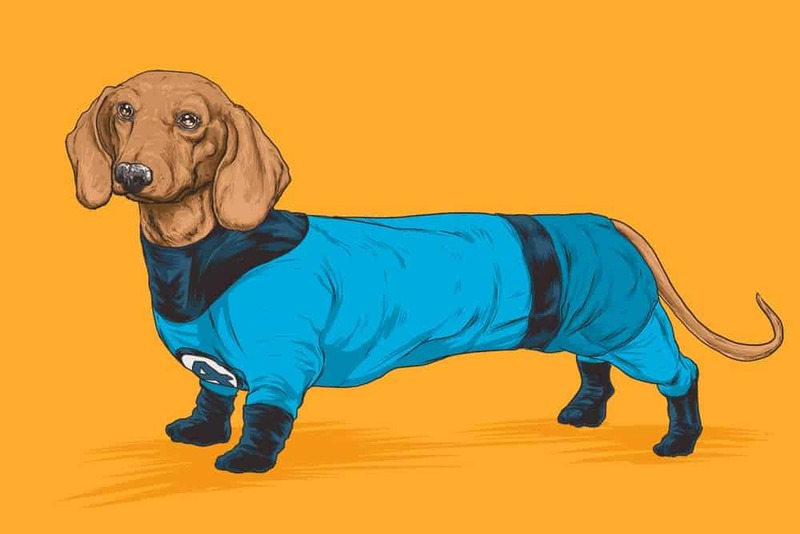 I have calculated all probable endings of this encounter… You won’t find a better dachshund anywhere out there. Si vis pacem, para amplectitur – If you want peace, prepare for some hugging! I smell that bacon you are cooking and I demand an offering! 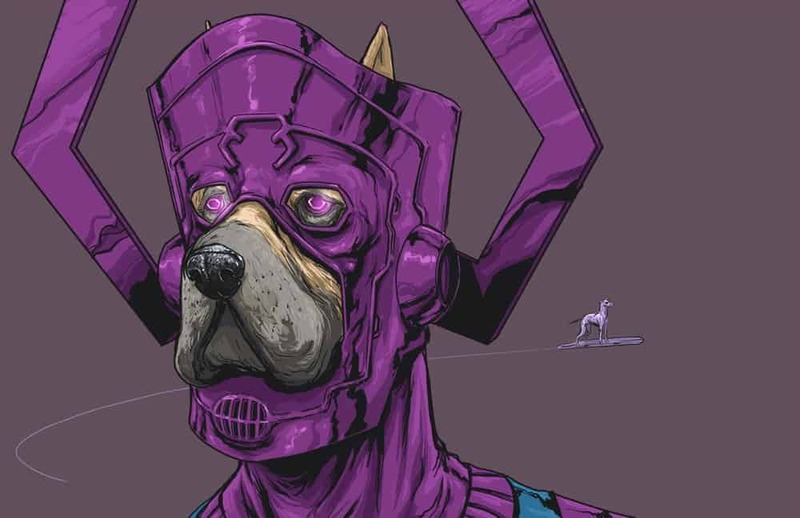 Galactus hungers! In brightest day, in blackest night, no cat shall escape my sight! 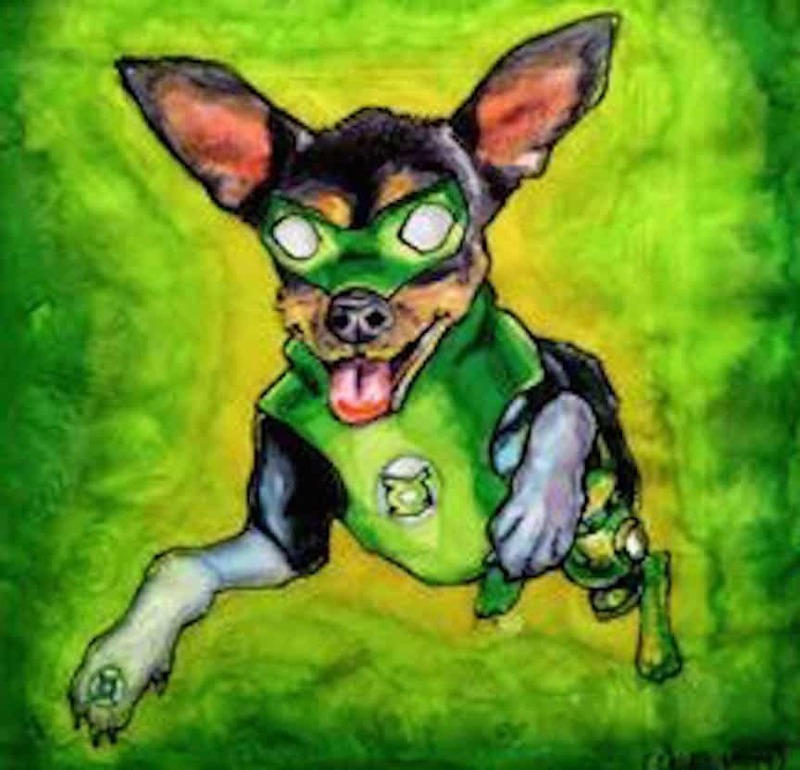 Let those who worship feline’s might beware my power – Green Chihuahua’s light! Tremble in the presence of the most precious supervillain there ever was! 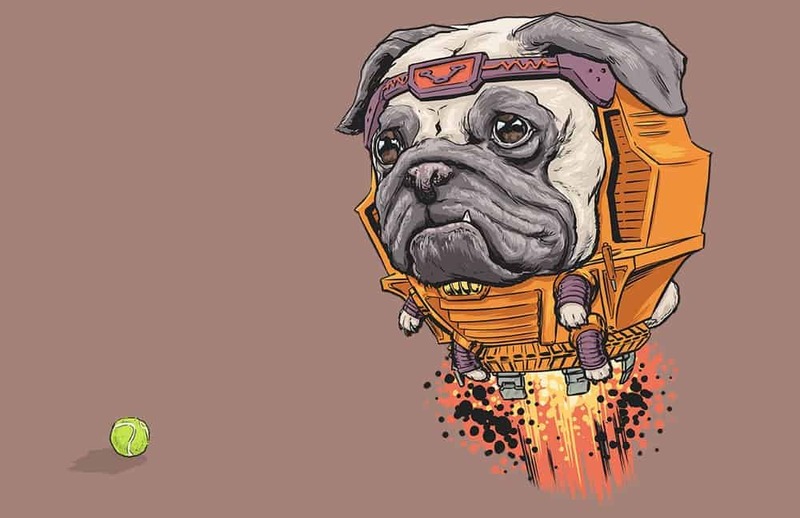 All hail MODOK – Mechanized Organism Designed Only for Kuteness! You’ve taken my chew toy! That makes me angry, and you won’t like me when I’m angry! 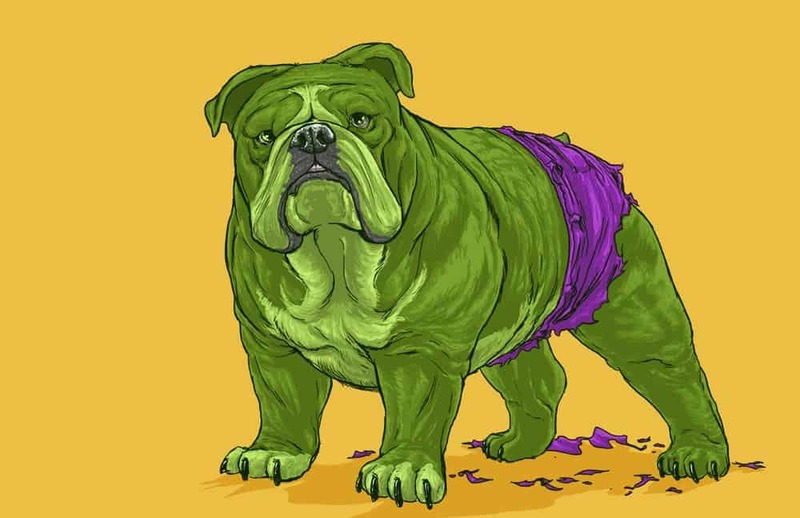 Bulldog SMASH! I’m not a puppy! And I’m not scared neither – no way, no how! You’ve stuck your webs into my business for the last time, Spider-man! 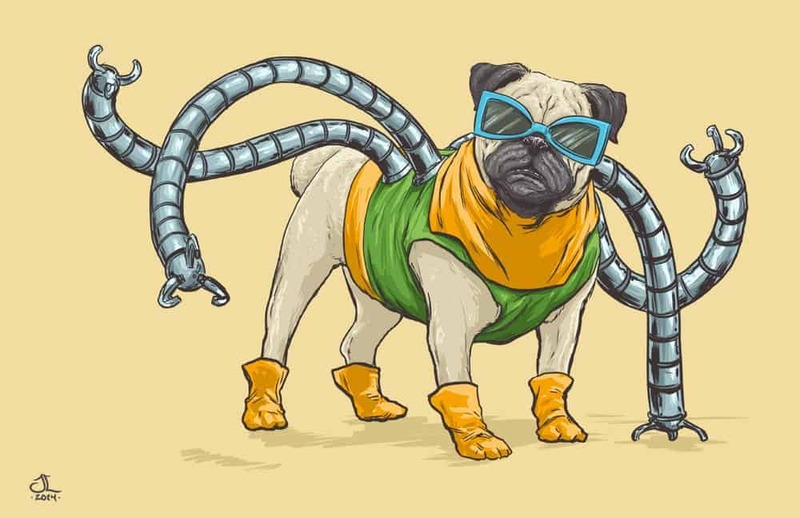 You are no match for Dr. Octopug! 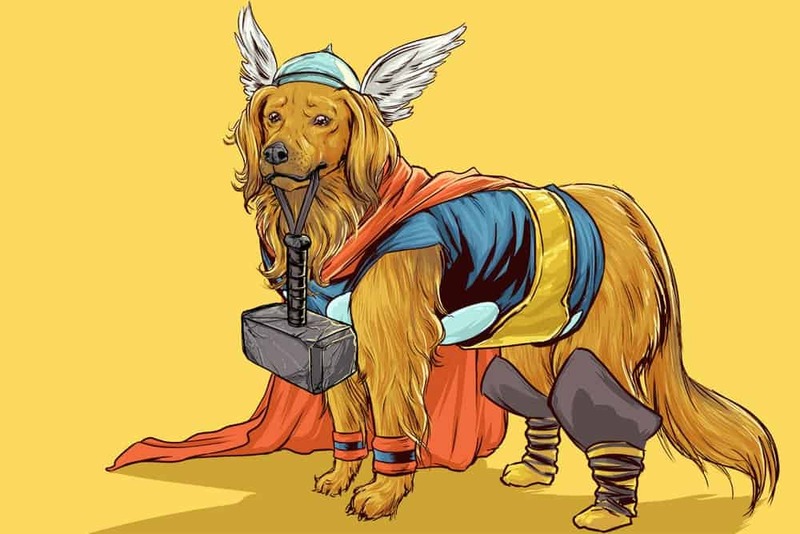 By Odin’s beard, you’ll never find a more intelligent, loyal, and handsome dog in all of the universe! 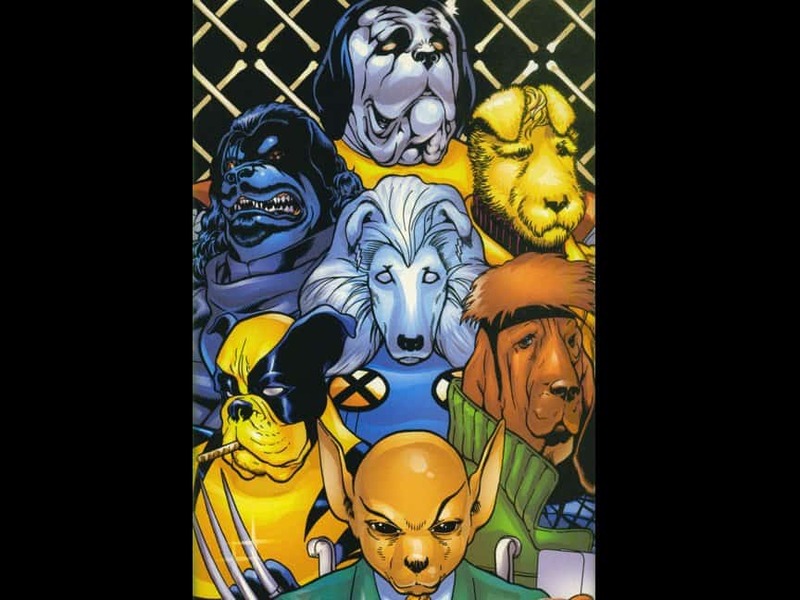 My name is Charles Xavier. I am a mutant. 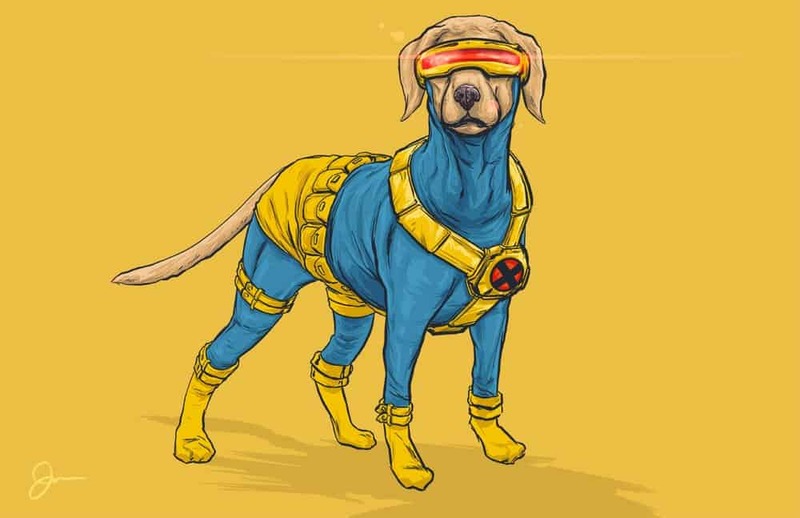 And once upon a time I had a dream… of a world where all Earth’s children, both mutant and baseline dogs, might live together in peace. 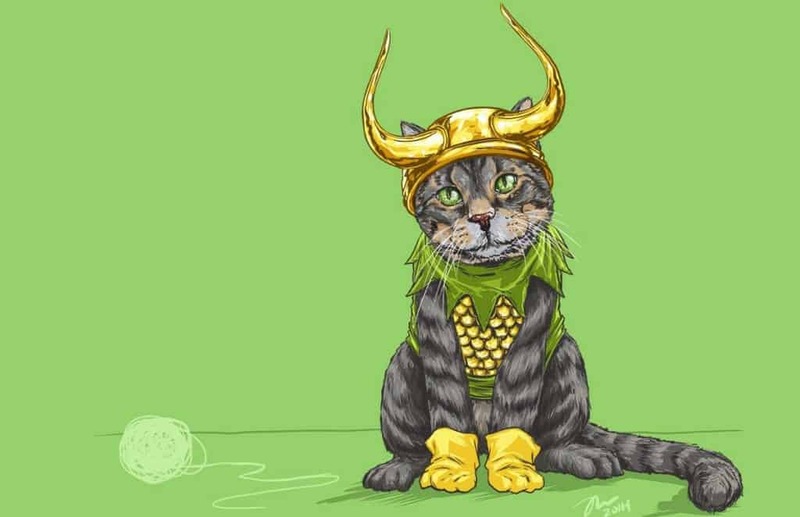 (For all the cat lovers out there) I am Loki of Asgard, and I am burdened with the glorious purpose of running around at 3 AM and keeping my humans awake.